Reservoir simulation models provide valuable information that guides the most important decisions regarding the operation. Tens of millions of dollars are invested in developing complex reservoir simulation models. 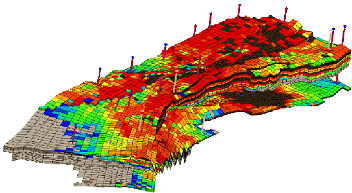 Is Your Company Taking Full Advantage of its Reservoir Simulation & Modeling Investment? Given the fact that making a single run of the reservoir simulation models usually takes hours or days, the full potential of these models remains untapped. Intelligent Solutions, Inc. introduces a new AI-base technology (Surrogate Reservoir Models - SRM) that reduces the run time of the existing reservoir simulation models (regardless of the platform used for development) to fractions of a second (with no need for super computers or computer clusters). SRM has been successfully tested on ECLIPSE, CMG (IMEX & GEM) and POWERS with models with up to six million grid blocks. Unlike conventional geo-statistical approaches that require hundreds of simulation runs, SRM is developed with only a few simulation runs. Accurately replicates the results of completely blind simulation model's run. 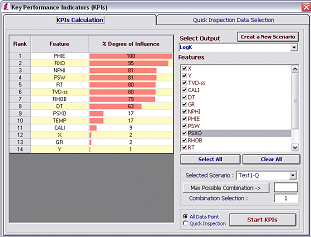 Runs and allows you to analyze the simulation models in Real-Time. A completely new and innovative way of treating the simulation model based on ISI's pattern recognition technology that incorporates hybrid Fuzzy Set Theory and Artificial Neural Networks. Intelligent Solutions, Inc. introduces a revolutionary and innovative solution for fast track, comprehensive reservoir analysis (solving both direct and inverse problems) using existing reservoir simulation models. Named Surrogate Reservoir Models; SRM is defined as a replica of the full field reservoir simulation model that runs and provides accurate results in real-time (one simulation run takes only a fraction of a second). SRM mimics the capabilities of a full field model with high accuracy. Reservoir simulation is the industry standard for reservoir management. It is used in all phases of field development in the oil and gas industry. The routine of simulation studies calls for integration of static and dynamic measurements into the reservoir model. Full field reservoir simulation models have become the major source of information for analysis, prediction and decision making. Large prolific fields usually go through several versions (updates) of their model. Each new version usually is a major improvement over the previous version. The updated model includes the latest available information incorporated along with adjustments that usually are the result of single-well or multi-well history matching. 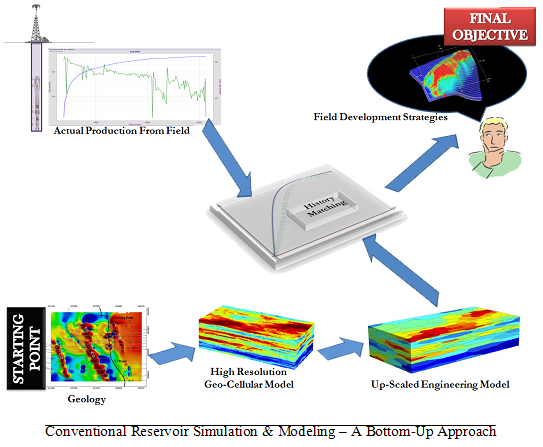 Reservoir Simulation & Modeling is a well understood technology that usually works well in the hand of an experienced team of engineers and geoscientists. The reservoir models that are built for an average size field with tens or hundreds of wells tend to include a very large number of grid blocks. As the number of reservoir layers (thickness of the formations) increases, the number of cells representing the model approaches several millions. Technologies such as Local Grid Refinements have been developed to dampen the geometric increase of the number of grid blocks required for detail and focused modeling around the wellbore and locations in the reservoir where more detail is required, but the size of the models remains quite large. As the reservoir models grow in size, so does the time that is required for each run. 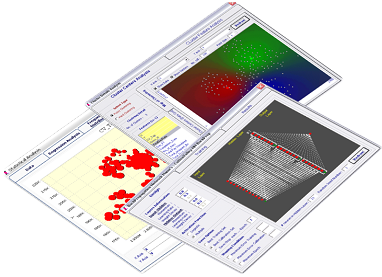 Schemes such as grid computing and parallel processing helps to a certain degree but do not provide the required speed for tasks such as: field development strategies using comprehensive reservoir analysis, solving the inverse problem for injection/production optimization, quantifying uncertainties associated with the geological model and real-time optimization and decision making. These types of analyses require hundreds or thousands of runs. Furthermore, with the new push for smart fields in our industry that is a natural growth of smart completion and smart wells, the need for real time reservoir modeling becomes more pronounced. SRM is developed to address the ever growing need in the oil and gas industry to perform accurate, but high speed simulation and modeling. Unlike conventional geo-statistical approaches (response surfaces, proxy models …) that require hundreds of simulation runs for development, SRM is developed only with a few (from 10 to 30 runs) simulation runs. SRM can be developed regularly (as new versions of the full field model become available) off-line and can be put online for real-time processing to guide important decisions. SRM has proven its value in the field. 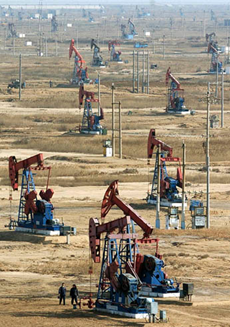 An SRM was developed for a giant oil field in the Middle East. The model included about one million grid blocks with more than 165 horizontal wells and took ten hours for a single run on 12 parallel CPUs. Using only 10 simulation runs, an SRM was developed that was able to accurately mimic the behavior of the reservoir simulation model. Performing a comprehensive reservoir analysis that included making millions of SRM runs, wells in the field were divided into five clusters. It was predicted that wells in cluster one & two are best candidates for rate relaxation with minimal, long term water production while wells in clusters four and five are susceptive to high water cuts. 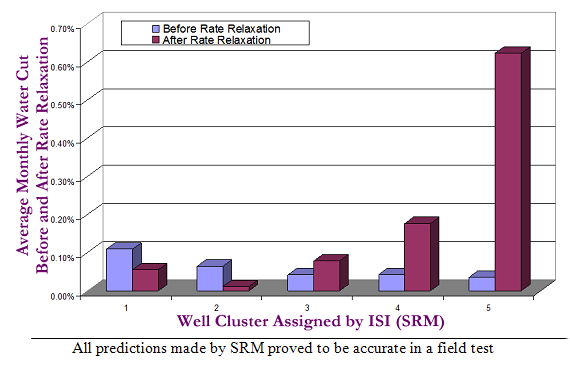 Two years and 20 wells later, rate relaxation results from the field proved that all the predictions made by the SRM analysis were correct. While incremental oil production increased in all wells (wells in clusters 1 produced the most followed by wells in cluster 2, 3 …) the percent change in average monthly water cut for wells in each cluster clearly demonstrated the analytic power of SRM. As it was correctly predicted, wells in clusters 1 and 2 actually experience a reduction in water cut while a substantial increase in water cut was observed in wells classified into clusters 4 and 5. Performing these analyses would have been impossible using the original full field simulation model. 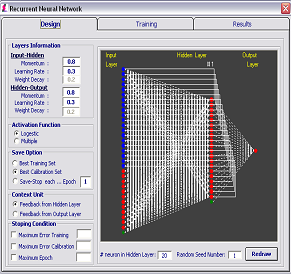 Reservoir simulation models include hundreds of degrees of freedom. In other words, there are multiple parameters in each grid block that can affect production behavior at each well. Therefore, the complete solution space is a complex hyper-dimension surface. In many reservoir analyses the complete solution space has to be exhaustively searched for the best possible solution. For example; to increase recovery in a field, hundreds of production schemes can be envisaged. But only a handful of the schemes will result in high recovery. Furthermore, all the parameters involved in the model are the result of geological and geophysical measurements & interpretations and therefore, uncertain. Contribution of the uncertainties to the potential development schemes needs to be considered and quantified. To take all these issues into consideration during a reservoir study, the simulation models needs to be run millions of times in order to provide the analyst with a reasonably accurate picture of potential future consequences of the decisions that are made today. Surrogate Reservoir Model (SRM) makes comprehensive reservoir analysis possible. It is a known fact that many of the measurements and interpretations that go into geo-cellular and eventually to the full field models are far from being certain. One ways to quantify uncertainties is using Monte Carlo simulation method. In Monte Carlo simulation, inputs to the objective function (the full field model in the case of a reservoir simulation process), are presented in the form of probability distribution functions rather than crisp, certain and single values. The Monte Carlo simulation method requires the objective function to run thousands of times in order to generate statistically representative probability distribution functions of the objective function's outcome. Using a full field reservoir simulation model as the objective function for this purpose is impractical. Surrogate Reservoir Models are used as the objective functions in uncertainty analyses that are performed using Monte Carlo simulation methods. This technique has been used effectively for stochastic simulations of the reservoir models. Solving the inverse problem is a common practice when dealing with models that have analytical solutions. Reservoir simulation models provide numerical solutions and are not appropriate for solving the inverse problems. An example of an inverse problem using the reservoir simulation models can be the identification of most appropriate injection rates and the associated injection wells in a water flooding project to target certain production from certain producing wells. Having access to a tool that allows the modeler to solve the inverse problem is an essential tool for designing such operations. Surrogate Reservoir Model provides the means by which inverse problems can be defined and solved using sophisticated reservoir simulation models. History matching is a process during which the reservoir simulation model is calibrated by tuning the reservoir characteristics of different grid blocks in the reservoir model in order to match the observed production/injection behavior of the wells. One of the byproducts of Surrogate Reservoir Model is a ranked list of reservoir characteristics (at particular locations in the reservoir) based on their influence on the simulation outcome (i.e. oil production, GOR or water cut) called Key Performance Indicators (KPI). Using the KPIs in a given field and ability to run the SRM in real-time, history matches can be achieved in record times. Smart completions and smart wells provide the ability to interact and intervene in well operations in real-time (and from a distance) and also to get feedback on the consequences of our decisions and actions in real-time. In smart fields the real-time feed-back of multiple wells need to be analyzed in order to make field-wide decisions, take actions and perform corrective actions. For realistic and practical implementation of smart fields, real-time reservoir management must be accomplished. Real-time processing of the streaming data and all the available information is an absolute necessity in order to make real-time decisions. SRM brings real-time response of full field reservoir model to the smart field. Performing real-time optimization in the oil field without the help of SRM that can represent the subsurface by providing real-time reservoir model responses would be a very difficult task to accomplish. The ability to comprehensively search the solution space is a necessity for optimization. Performing it in real-time, is the key to real-time optimization. A comprehensive search of the solution space in or near real-time requires real-time responses from the objective function. A closed-loop solution in the oil field would include the sub-surface model, the wellbore model and the surface facility model. Intelligent Surrogate Models, with SRM as an example in reservoir simulation and modeling, facilitate the ability of real-time search and optimization. Intelligent Solutions, Inc. (ISI) has been involved in development of successful surrogate models for surface facilities, and reservoir models. Performing closed-loop real-time optimization without the use of surrogate models (state-of-the-art in Artificial Intelligence & Data Mining - AI&DM) may not be practical. The major advantage of all the equipment and sensors that have been and are currently being developed to be used in the smart fields is that for the first time they make it possible for the engineers, geo-scientists and managers to observe and monitor what is happening in the reservoir, in real-time. That is a great achievement. But what would you do with that information? How would you use it to your advantage? How are you going to influence the outcome of the process that you are observing or monitoring? The main advantage of being able to see something happening in real-time is to be able to intervene in the process in real-time in order to correct the wrong that is happening or to enhance the outcome of the process. 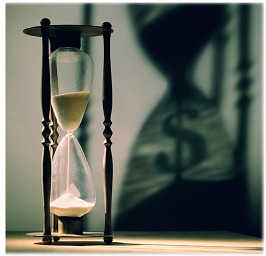 In order to be able to do such things you need to make accurate decisions in real-time. For making the best decisions in real-time you would need predictive tools (like the full field models) that can provide answers to a variety of possible scenarios, in real-time, hence the need for Surrogate Reservoir Models.